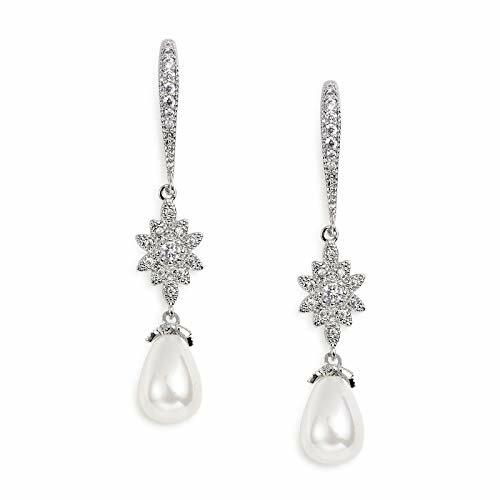 SWEETV Pearl Drop Earrings for Wedding Bridal -Teardrop Cubic Zirconia Dangle Earrings for Women,Bridesmaids,Brides by SWEETV at SCRHI. MPN: SVSA5EH1805CP12B. Hurry! Limited time offer. Offer valid only while supplies last.